We've had so much fun the past few weeks prepping for Thanksgiving - we can't wait to share it all! 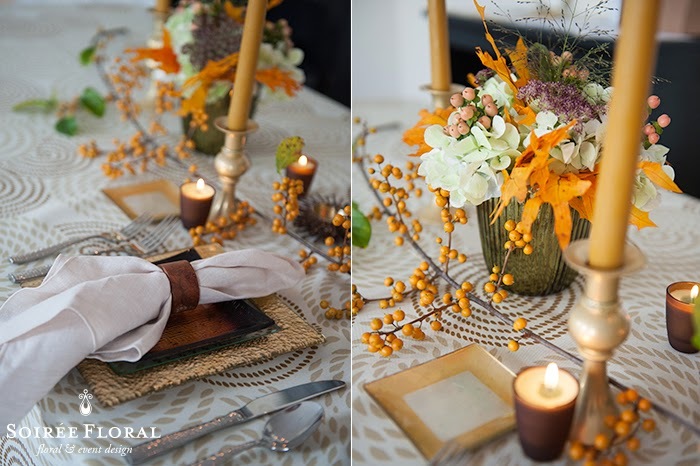 different looks for designing your tablescape. First up, Look One! This table design is anchored by shades of goldenrod and brassy golds. We balanced the mix of metallics with a hint of green, earthy brown-tones and matte accents. 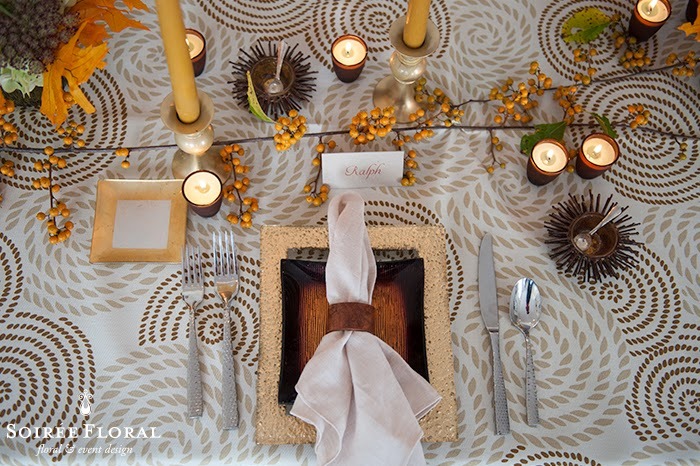 Have fun with your table - hosting Thanksgiving doesn't have to mean "stuffy" or traditional. 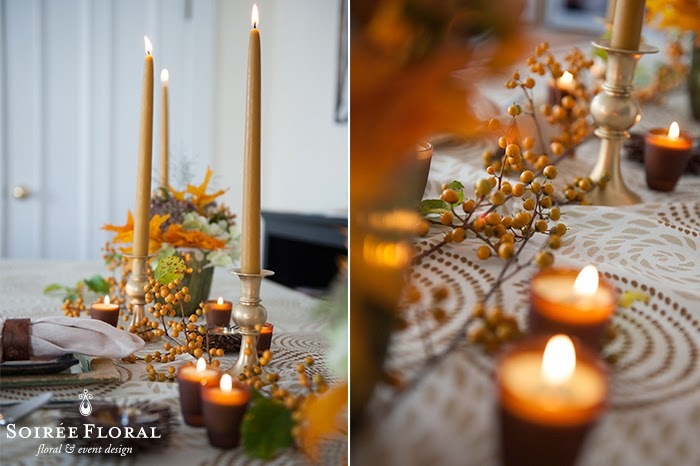 We love mixing and matching different styles of dinnerware and layering the heights of the candlelight; this adds intimacy to the tablescape and makes it feel warm and inviting. Napkin rings not your thing? 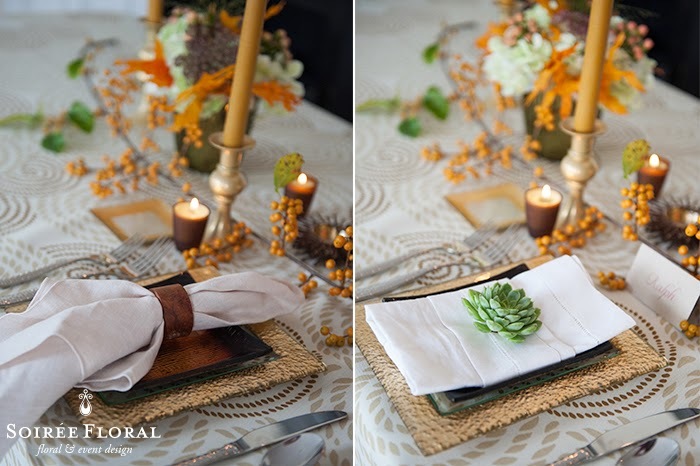 Have a sweet little something like a succulent placed on your guests' napkins for a more organic and casual feel. from a few of our favorite stores! Click through to our Polyvore page and shop til you drop! As we debut each look we'll pair it with a style board to make it a cinch to recreate! for allowing us to design this tablescape with their amazing inventory! 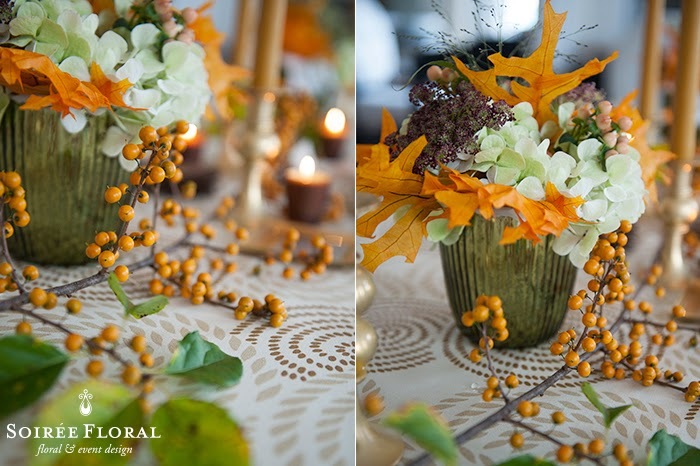 *Tabletop items shown are available to rent for your next wedding or social event.